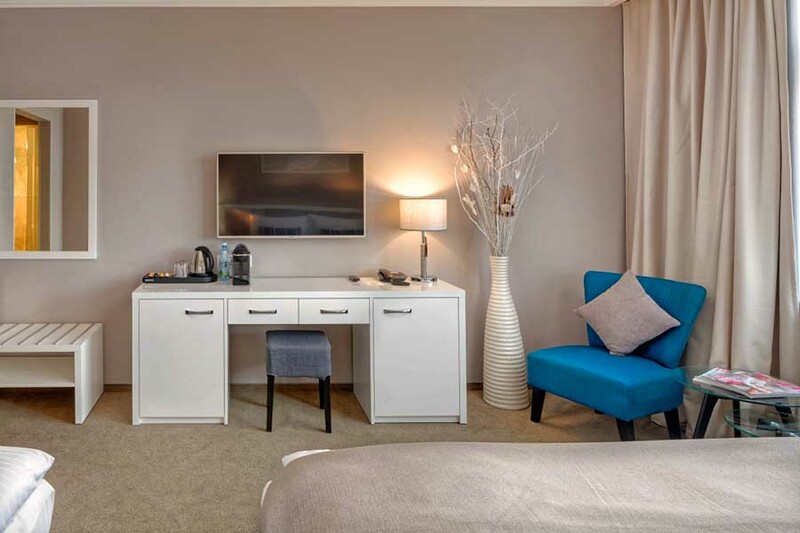 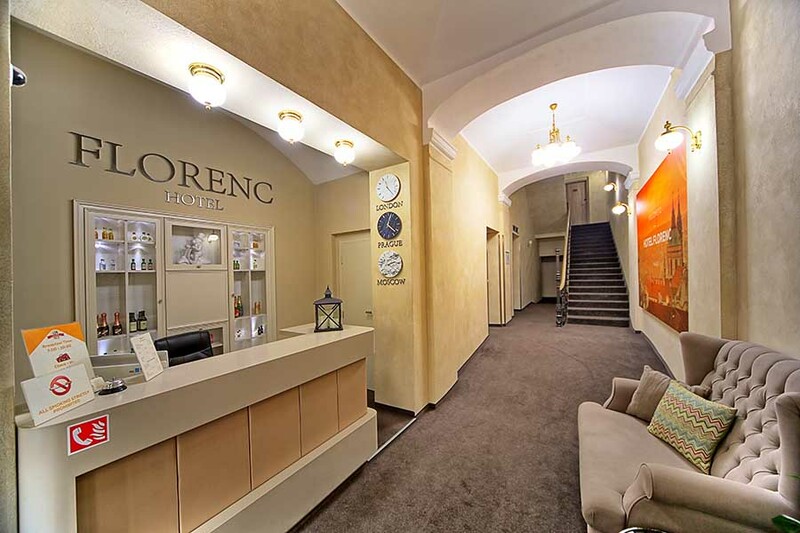 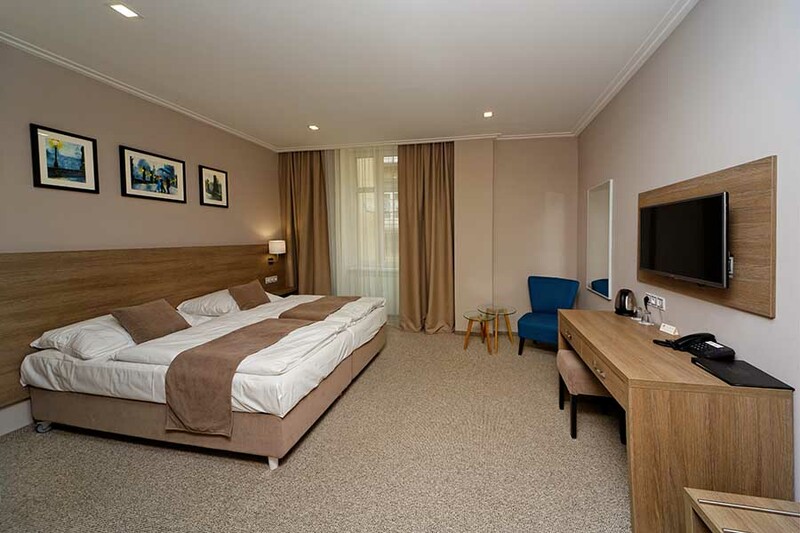 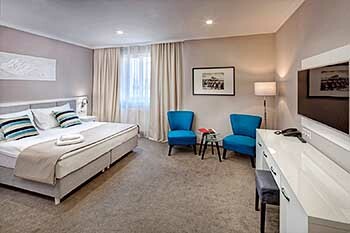 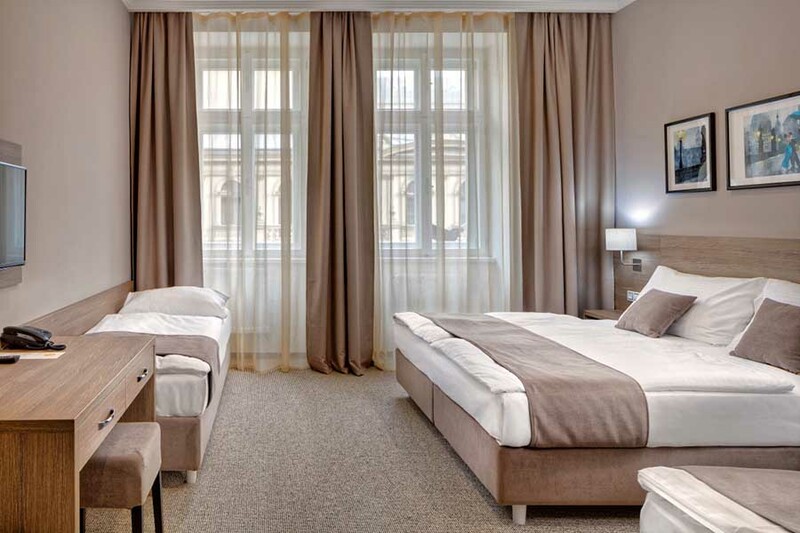 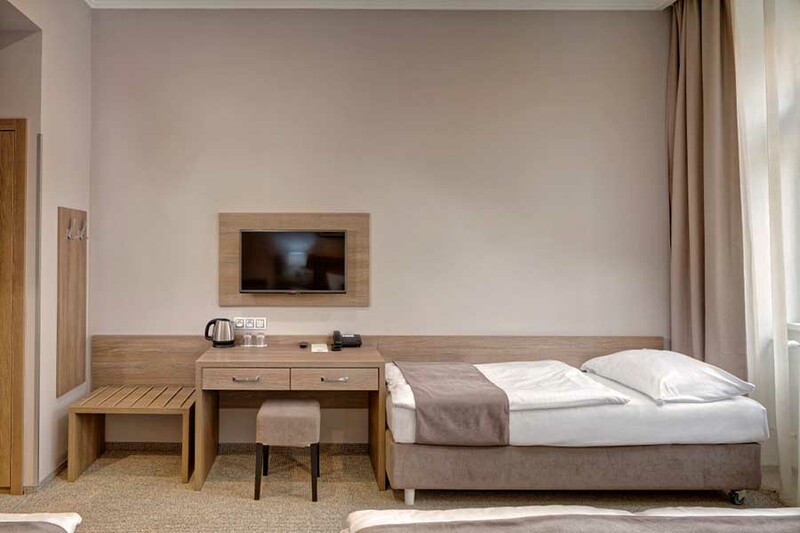 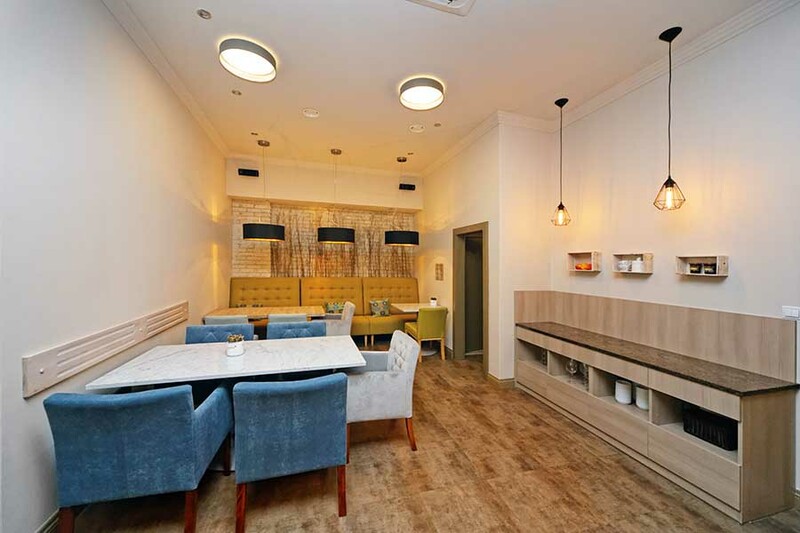 Newly renovated Hotel Florenc is located in Prague city center, just opposite the Karlín Theatre and close to all major sights. 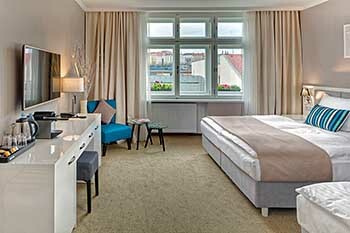 The hotel offers an ideal location, a 10 minute walk only to Powder Gate and just two metro stops from Wenceslas Square. The main bus station Florenc, which runs all international bus lines, is just across the street so you can easily reach us from many european towns like Vienna, Berlin, Munchen. 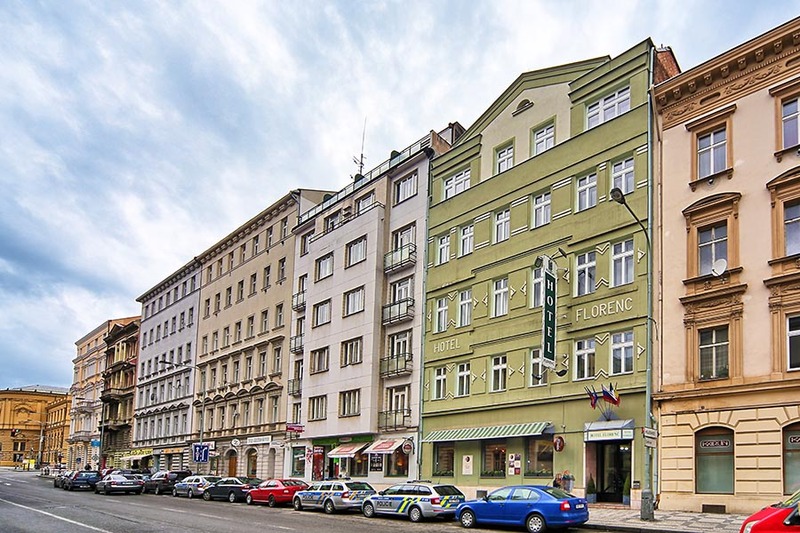 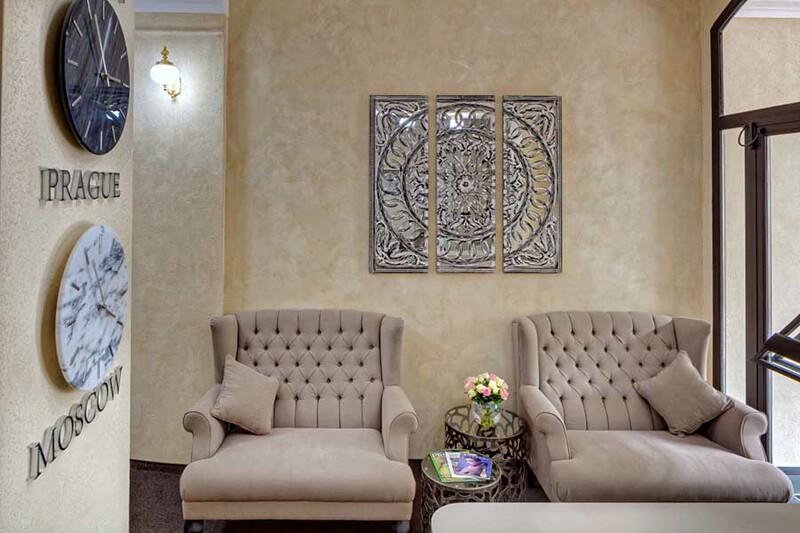 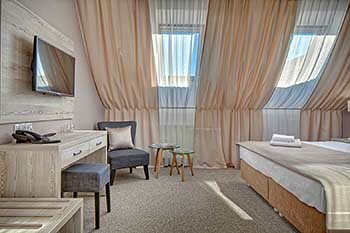 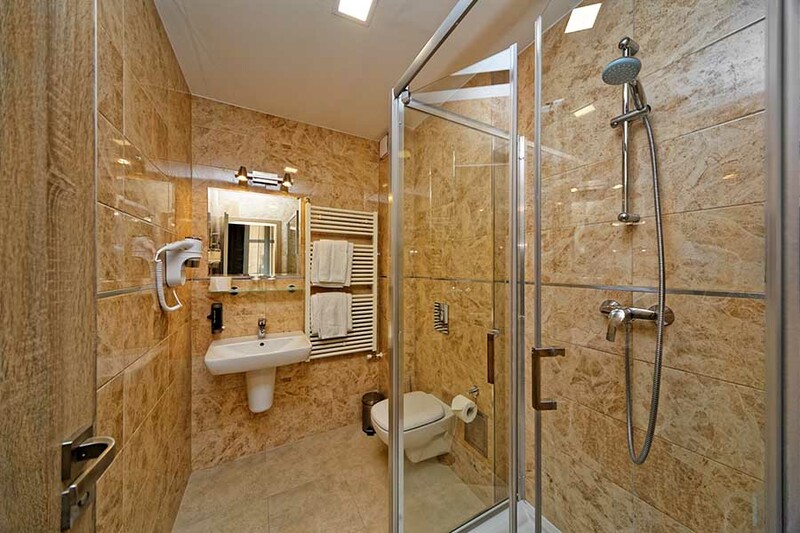 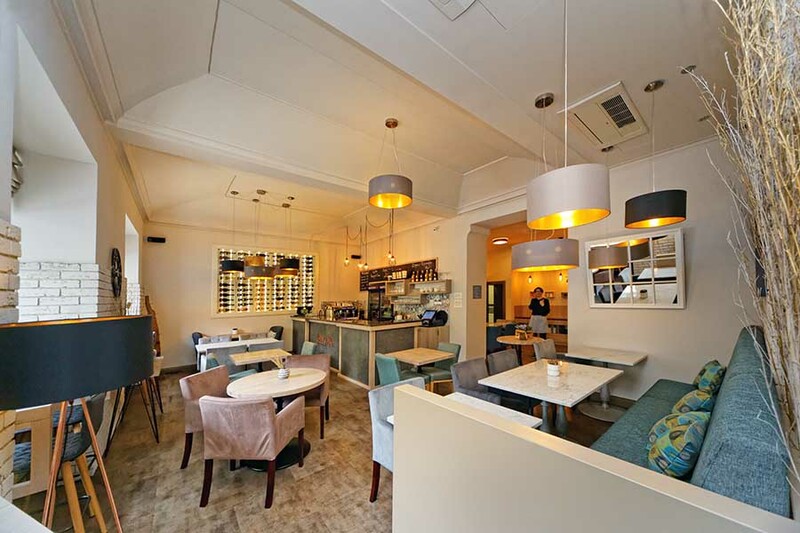 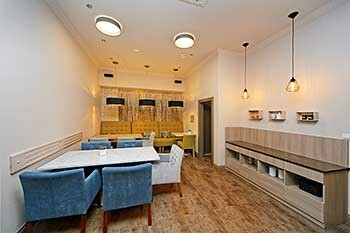 Hotel Florenc has 29 comfortably furnished non-smoking rooms. In early 2016, the hotel was fully renovated and modernized. All rooms are comfortably refurbished, air-conditioned and equipped with satellite flat-screen TV, deposit box, private bathroom with shower, tea set, toiletries and a hairdryer. 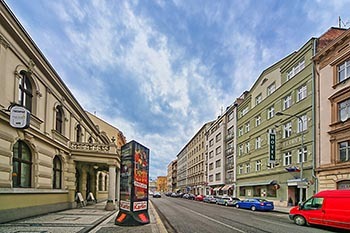 Some rooms are located at the front of the hotel overlooking the beautiful Karlín Theatre building; the remaining rooms are to the quiet courtyard. 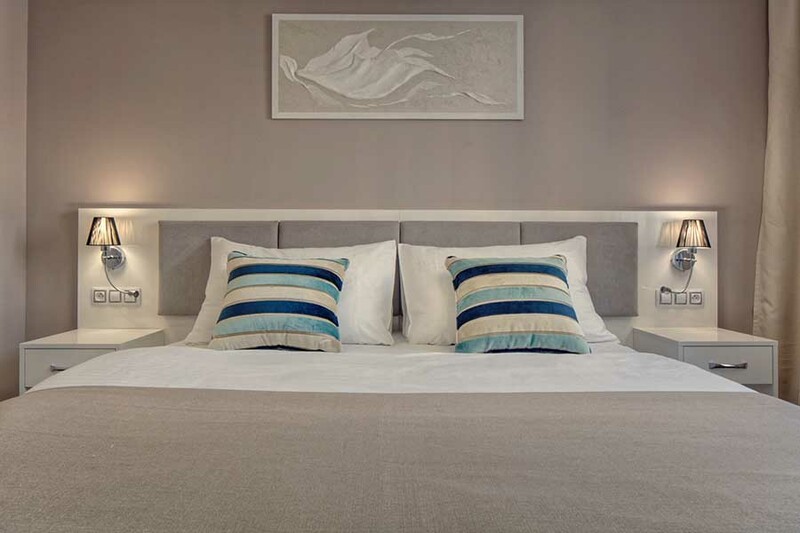 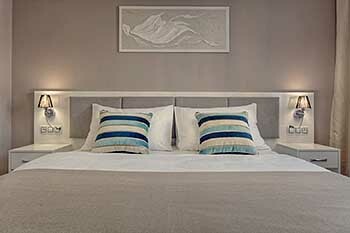 We will arrange your room according to your requirements with either a double or twin beds. 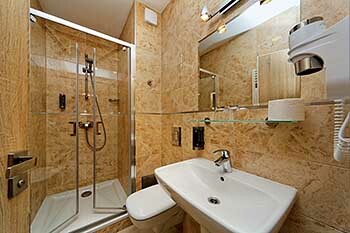 Two Superior rooms offer also a Nespresso coffee machine and a mini bar for your added comfort. On the ground floor of the hotel there is a restaurant and the reception. 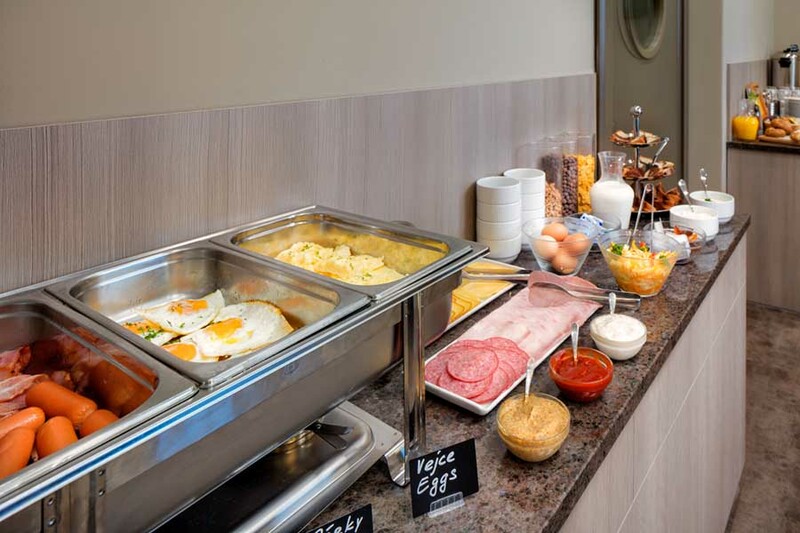 A buffet style breakfast is served each morning in the hotel restaurant. Our multi-lingual, helpful and friendly reception with concierge services operates 24/7. 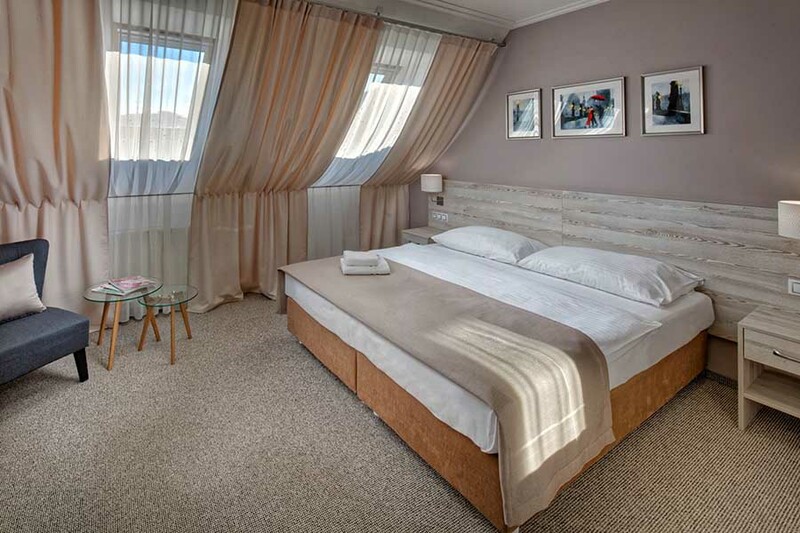 We will be pleased to assist you with booking sightseeing tours or tickets to any event, car rent or with advising a restaurant for dinner. Public transport accessibility of the hotel is superior- bus and tram stops, Florenc metro junction (B and C lines) are less 100 meters far. 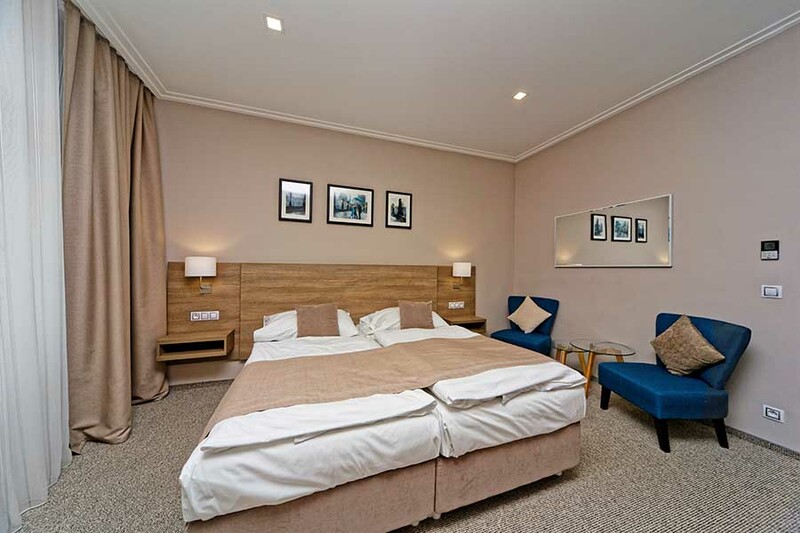 Parking available in the garages 100 metres from the hotel. 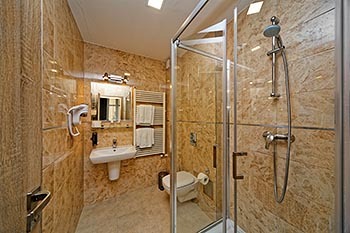 We offer discount all year long for reservations prepaid in advance - rate "AP" (Advance Purchase).